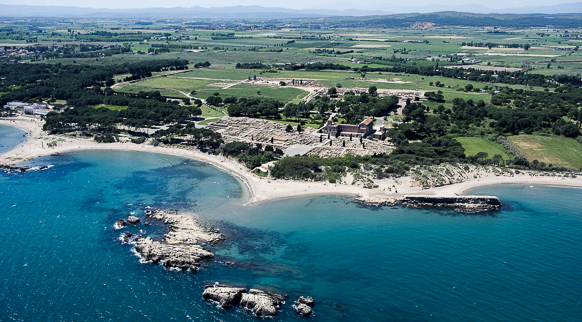 You don’t need to be a history or archaeology expert to enjoy a unique cultural experience at the ruins of Empúries, in the municipal district of L’Escala. Today it is the only archaeological settlement on the Iberian peninsula that contains remains of both a Greek city (Empòrion) and a Roman one (Emporiae). The archaeological complex sheds light on the domestic, commercial, social and religious life of its ancient inhabitants, spanning a period from the 5th century BC to the 3rd century BC, when the Romans finally abandoned it. The Greek houses (stoas), the agora, the mosaics or the forum are some of the main points of interest to be explored. Make sure you include a visit of the museum devoted to the excavations, where many everyday items, pieces of art and mosaics are on display.